Do I have to be an MCS Bank customer to use Online Banking? Yes, you must have at least one MCS Bank account to use our online banking services. The easy on-screen directions will walk you step-by-step through the sign-up process and provide you with access to your account(s) with MCS Bank, immediately after online forms are complete. Your accounts will be activated immediately after all the sign-up steps are complete and you may begin using Online Banking. Simply enter your Access ID and password to access your accounts — if you are unable to access your account(s) online please contact us at 717-248-5445 or 844-245-9495 during normal business hours for assistance. There are just a few requirements. You need Internet access by PC, Mac, Smartphone or other means. To use Online Banking features, your Web browser needs to be Microsoft® Internet Explorer® 6.0 (or greater) or Mozilla® Firefox 2.0 (or greater). The bank uses 128-bit encryption to help ensure your security, so your Web browser needs to support that encryption as well. The versions we specify above already support the appropriate level of encryption. If you have MCS BANK CDs and/or loans, you can even check your statements, balances and make loan payments via Online Banking (although you cannot transfer funds directly to CD accounts). Can I download transactions to my software such as Microsoft Money™ or Microsoft Excel™? Online Banking is a free service provided to MCS Bank customers. Online Bill Pay service is also free including Popmoney to personal checking account holders, however it is not available to business accounts at this time. We have a very handy Online Help section, available by clicking "Help" on the main menu bar inside online banking at any time. But if you'd like to speak to a real person, contact MCS BANK by phone or e-mail at your convenience. When you set up online access, you will set up an Access ID and password for your account login. Once you're in Online Banking, select the Option button on the main menu bar, navigate to the Edit Password area. Choose Edit, enter your current password, then enter your new password twice. Your password may be eight to twelve alphanumeric characters. For optimum security, we require you to use at least one letter and at least one number. We recommend that you change your password at least once every 90 days. You'll need to set up a new password — but don't worry, we can help. Use the "Forgot Password" link in the Account login area or just contact MCS BANK by phone or during your next bank visit. You may view any MCS BANK checking, savings, CD or loan account on which you are an authorized signer. 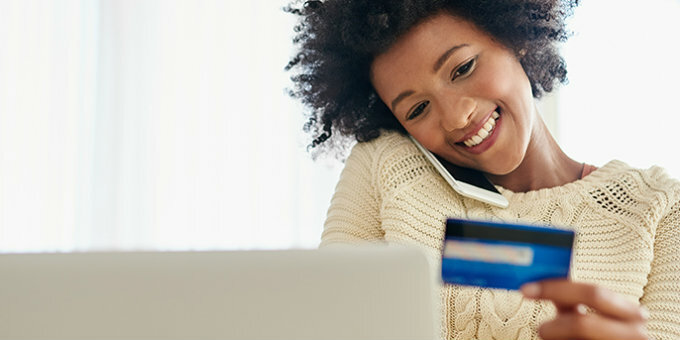 When you open a new MCS BANK account, our Online Banking system will automatically add your account to your online profile. If you are not able to view all of your accounts on Online Banking, please contact us by phone or visit the nearest branch location. You may print any screen that appears within the MCS Bank website. To print, click on the Print option under File at the top left of your screen, or click on the Print icon in your toolbar near the top of the page. For Checking and Savings information, all transactions that have been presented to the account (including those presented today) are included in the balance. This includes Online Banking Transfers and any ACH (Automated Clearing House) transactions made during the day. ACH Transactions include direct deposits, direct payments of bills, etc. Yes, the transactions will be displayed on Online Banking. Yes, you may complete transfers to and from checking and savings accounts and make payments to loans, provided you have a checking or savings account at MCS Bank. Do I have to be an MCS BANK customer to use Mobile Banking? Yes, you must have at least one MCS Bank personal account to use our Mobile Banking service and you must be enrolled in Consumer Online Baking as well. Log into MCS BANK Online Banking and navigate to the My Settings link at the top of the page. Scroll down to the Mobile Banking Profile section and click Enroll Now. Click on the link from #3 above or Go to the app store. Search "MCS BANK Mobile" and download the free app. Once I request to be signed up, how long before I can begin using the service? You should be able to access MCS BANK Mobile Banking with any mobile device (phone, PDA or Palm®) that has Internet capability. If you are unsure of your phone’s capabilities, please contact your wireless provider. Please note: Although MCS BANK does not charge for Mobile Banking, your wireless carrier's standard Web access rates do apply. Check balances, check account activity and transfer money between your MCS BANK accounts. You can complete transfers to and from your MCS BANK checking and savings accounts. MCS BANK does not charge for mobile banking access; however, your wireless provider may charge for its Web service. Please check with your wireless carrier for Web access rates and plans. It wasn’t that long ago that an account deposit or withdrawal required a visit to your bank to complete the transaction. Banking was inconvenient and time consuming. Today, we have lots of options when it comes to financial transactions. Mobile banking is an increasingly popular way to monitor and manage your money. But how secure is mobile banking? MCS Bank will never contact you via text asking you to respond with account or other personally identifying info. Please do not fall victim to a text purporting to be from us and requesting your account number(s), Social Security number, or other personal information. The best policy is to immediately delete the text. Create a strong password for your mobile device that is easy to remember, but hard to guess. Don’t use common words, names, birthdays, or any personal info in your password. Use your device’s auto-lock feature to secure your device after five minutes of inactivity. Turn off any "remember password" feature of your mobile device. Don’t share your device. Since these devices only accommodate one log on, it’s best to keep them to yourself to protect your personal info. Do I need to install anti-malware and anti-virus software? Yes, download anti-malware and anti-virus protection for your phone, tablet, e-reader or any other device that has mobile access to the Internet. This software should be able to scan the device, identify and remove malware, plus check applications for malware before downloading from application stores. First, call us at 1.844-245-9495 and we will deactivate your mobile access. We also recommend you change your passwords for financial and personal accounts to prevent identity theft or fraud. Report the loss to your carrier (personal devices) or your company (if your company owns it). They may be able to deactivate the device, so it no longer can be used. Should I always use official bank apps? MCS Bank offers an application in smartphone and tablet app stores. In general, these apps tend to be more secure than sending information by SMS message or e-mail. We go to great lengths to make sure any information sent across a network by an app is encrypted. Should I avoid banking while on public networks? Yes. Many mobile devices allow you to connect to different types of networks, including Wi-Fi networks. You might be tempted to check your balance or make some transfers while you grab a quick drink at a coffee shop. But before you log into your account, make sure you’re not connected to the public network. Is it safe to click on a link that comes in a text message or email? No. Avoid following these links at all costs. Can I download any app? A keylogger is a program that records — or logs — keystrokes. Every letter or number you enter into your phone could be recorded. If a hacker pairs a keylogger with some code that either sends off an e-mail or text message at certain times of the day, you might be sending all your keystrokes to someone anywhere on the globe. For the moment, mobile devices are less prone to malware attacks than computers. But you should still be careful when downloading apps — not just your banking app, but all apps. Do a little research before you download that next widget or game to make sure the app developer has a good reputation. And if you’ve jail-broken an iPhone or you’ve side-loaded unapproved apps, be aware that your data could be vulnerable. What are some tips for keeping track of my mobile device? Don’t be scared off from using your mobile device to access your bank accounts. Just be sure to practice good, safe behaviors and keep track of your gadgets. With a little common sense and attention, mobile banking can be both convenient and secure. How old do I need to be to open a savings or checking account? At what age can someone open an account? Our Young Saver account can be opened at any age: a checking account may be opened at age 16, with a parent or guardian as a joint account owner. How old do I need to be to receive an ATM/Debit Card? At what age can someone get an ATM/Debit Card? At age 16, with an Adult, or at age 18. Using the personal PIN number, you receive in the mail, or at the branch, you can activate your ATM/Debit card at any ATM machines. Simply make a balance inquiry using the PIN number. For security reason, your ATM/Debit Card and Pin Number will arrive by mail in separate secure envelopes. Your card will likely arrive in the mail a few days prior to your PIN Number. Check reorders can be either by calling and talking with any of our friendly Customer Service Representatives, or online, using the link at the bottom of the page. I need to replace my ATM/Debit Card and cannot wait to receive it in the mail; How quickly can I get a replacement card? How can I do I open a Deposit Account? Simply stop in any of our convenient locations or select the account button on our home page, and then the link for ‘Open in Minutes’. How can I transfer money between my MCS Bank accounts? Online Banking is a quick and convenient way to transfer funds between your accounts. Our customer Service Representatives are available by phone, or in the branch, to assist you. 16: Able to Open a Checking account and Receive a Debit Card, with a parent or guardian as a joint account owner. 18: Start to Build some Credit, contact one of our convenient branches and one of our experienced Loan Officers can start the process. 25: Time to Start Planning for your future, and we can customize a plan to achieve your goals. 59½: Eligible to start taking IRA and Retirement Distributions without incurring a penalty. 65: Start on the Medicare Health Plan. 70½: Age that one must begin to take distribution from a qualified retirement plan. How do I raise my Debit Card limit for a day? Call the main office at 717-248-5445 and talk to any Representative. How do I schedule an appointment or a phone call with a Loan Officer? Simply call our Loan Center at 717-248-3000. On the middle of the Home page is a blue button to Apply Online or you can simply call any of our convenient locations. What are Personal Loans usually used for? Customers often use them for vacations, car or home repairs or improvements, larger purchases, and often to Consolidate some bills. Contact any of our Loan Officers who can explain the details. In many cases, a monthly savings can be found by consolidating bills into one easy payment. As a community bank, we process our own loans and being local, it is very easy for us to communicate with you throughout the process. Does the Bank charge an Application Fee? Does the Bank charge points? No, we do not charge points. However, on certain loan programs we allow you to pay for a lower interest rate if you wish. As a simple explanation, escrow is adding together the annual cost of Property Insurance and Property Taxes and then dividing that amount by 12 months. Then we add that 1/12th amount to your principal and interest payment.